Recruiting the right employees is tough, retaining them even tougher; especially when you have to compete for the best talent in the coming years. Good employees are an asset to an organization. However, what does the organization do when such employees decide to leave? It’s a competitive market out there and is projected to get even tougher in the near future. And so not only companies have to hire the right people but also concentrate on keeping them in the long run. We give you a lowdown on employee retention and its characteristics. 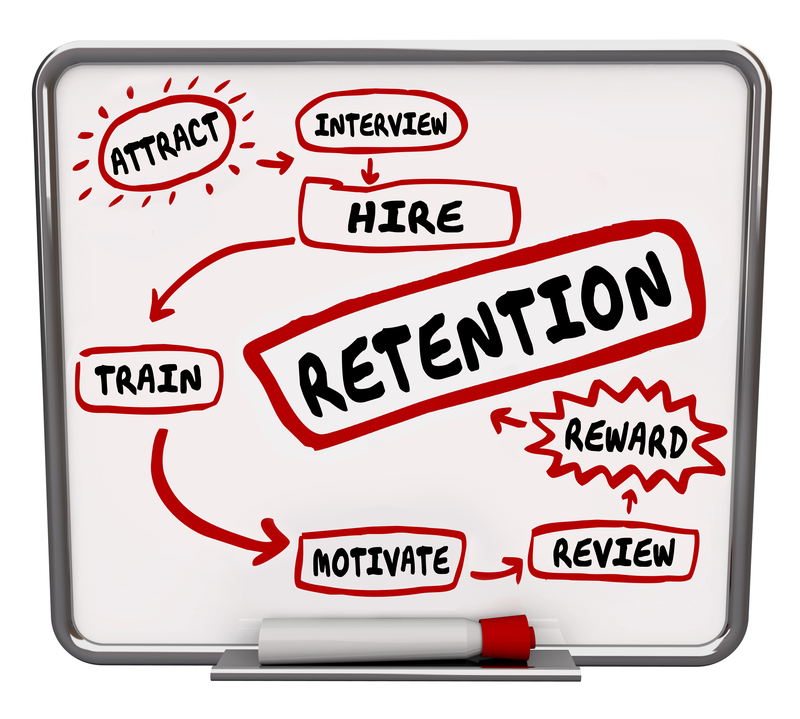 Retention is the rate at which the current employees of your firm are staying in their jobs. It also refers to the policies and practices which make the employees stick to a particular organization for the longest period of time. So why is Employee retention important and why is there a need of it? Hiring itself is not an easy process. It is time consuming and recruiting the right candidate is no cakewalk. Organizations invest time and money in hiring the right candidate, grooming and making him/her ready for work and make them understand the corporate culture. Employees who work for a long period of time know the company’s policies and guidelines and thus adjust better. It has been observed that employees who stick to an organization for a longer period of time are more loyal towards the management and the organization. It is cost effective as a company can notably benefit from employee retention programs. There should be well-defined strategies geared towards retaining good employees who help offset employee replacement costs and reduces the indirect costs to the company such as diminishing output and lost clients. Retaining the best employees is very important for customer satisfaction, product sales, and overall goodwill of the organization. How can you retain your best employees? Selecting the right people in the first place is the key strategy. Yes, it’s not that easy but not impossible either. You can hire the right candidate through behavior based testing and competency screening. The right person, on the right seat on the right vehicle, is the trigger. This goes beyond the money factor. Money is surely the prime motive of staying in a particular organization but it is not the only motive. Offer an attractive compensation package along with other verticals such as life insurance and flexible hours, vacation benefits. Demonstrate appreciation and respect towards employees whenever needed. Acknowledge and listen to them. Show empathy. Never ridicule them. All work and no play make employees …… (Well)……grumpy! Imagine working continuously for 8-9 hours with no breaks in between. Maybe you can get the work completed but will it be fruitful? Can you deliver the quality? Perhaps no! A small break will help employees retain their concentration and improve their focus and make an employee more productive. Research also says that a break can lower body mass index. Run-of-the-mill work can get very boring in the long run. Provide opportunities for people to share their knowledge and exchange of ideas through training sessions, presentations, lectures and other tasks. This would make work interesting and would fill the workplace with innovative concepts. This point corresponds to the above point of all work and no play. But we will elaborate it further in terms of the employee well-being. Now the organization need not be a doctor nor have they to be responsible for their employee’s health. You only have to monitor that a person is not getting over-burdened with work so much so that it affects his health. Wellness is essential to productivity. Everyone has heard of ‘exit interviews’. But consider having ‘stay interviews’ as well. You can ask questions such as what is the reason why you come to work, what keeps you motivated, or (demotivated)what do you like the most or the least about working here?, Do you feel your talents are not being recognized to the complete level? Stay interviews help HR managers understand why employees stay and what can cause them to leave. Having quarterly reviews will help you set goals and define how you want these goals to be achieved. However, you should also ask them what needs to be changed. It should be an interactive session, a conversation and not just a lecture. Having said and done we mention one more point which is important both from the employers point of view and the organization’s point of view. Hire for cultural fit– Every organization has its own unique culture. The candidate has a great educational experience, has industry knowledge like the back of his hand, and so you are tempted to hire on the spot. But hold it! There’s more to it. Culture is the main factor for your company’s long-term progress. It is an important asset that remains stable in the face of constant change. Cultural fit should be one of the top priorities when they hire new staff. While interviewing a potential candidate you should be able to identify his distinguishing capabilities that will make a part of your company’s culture. Understand that desirable attrition is necessary and important also. There are some people in the organization who have a negative and a demoralizing impact on the work and can be a source of negative vibes for others also. This kind of atmosphere is counterproductive to the organizational health in the long run. New Employees bring in new ideas, approaches, attitudes which keep the firm from becoming stagnant. The right amount of employee retention is crucial for long-term success and overall working of the organization. Have a question on employee retention? Look no further! We at Cerveausys will help you out.